Like any industry, the recording industry has new and exciting techniques come and go. Some stick because they’re genuinely great techniques or approaches to capturing audio in novel and exciting ways, and some fall by the wayside as cheap, gaudy gimmicks because, well, they are. But as we slowly make our way towards the middle of the 2010s, these are some of the more successful and attention grabbing recording techniques that have been making waves in the musical world. The late 2000s were all about pitch correction, even in audio engineering schools. 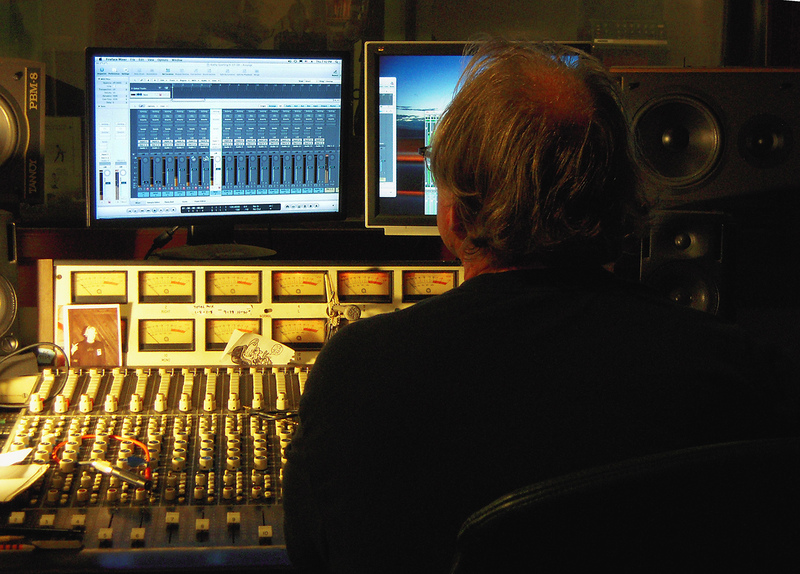 Software like Antares’ popular AutoTune and the often-used Melodyne were rampant on recordings. Almost every mainstream artist started slathering their tracks in pitch correction software, giving it that trademark gurgling, chipmunk/robot kind of sound. Thankfully, however, that trend has all but died and people are embracing the natural sound of a human voice again. Especially popular in underground hip-hop and indie rock right now, artists are priding themselves on recordings that aren’t digitally touched up or manipulated – they’re leaning towards live takes and real, raw emotional vocals, even if it means imperfection. It’s marked a move back towards the inherent warmth and authenticity that naturally occur in the human voice and in humans playing instruments; we’re embracing our faults instead of trying to clean them up. If you’ve taken audio engineering courses, you should always try to get a flawless take without having to “fix it in the mix”. While digital reverb has come a long way since its inception, people still prefer the clarity and warmth that come from analog reverbs like plate and spring reverb. However, several companies are producing digital reverb plug-ins now called “convolution reverb” that are turning some heads, leading some recording engineers to rethink the digital vs. analog battle. Convolution reverb uses a pre-recorded sample of a space – such as a hallway, a cathedral or a cave – and dissects the impulse response and mathematical algorithms that make up the reverberation, and applies it as an effect to an audio track. Skills such as manipulating these formulas and algorithms are now even being taught in audio engineering college. With convolution reverb, it’s possible to get realistic sounding reverb effects that are just as good, and sometimes better than analog. Not only do you have a wealth of spaces and reverbs at your fingertips, but it saves you the trouble of having to rely on old, beaten up spring reverbs, or trying to find a good cave to record in – which, trust us, is quite difficult. Also called 3D sound, binaural recording consists of recording audio – usually vocals – through a mannequin of a human head, with special binaural microphones embedded where the ears would be. What this does is produce a true-to-life replication of what it would sound like being sung or played directly at someone. Radiohead famously used this technique on their 2007 album In Rainbows on the track All I Need, which features ghostly vocals that seem eerily close. It’s an expensive set-up, and tough to pull off, but if you do, the results are out of this world! Armed with these new and cutting-edge recording techniques, you’ll be sending off brilliant mixes to labels in no time.